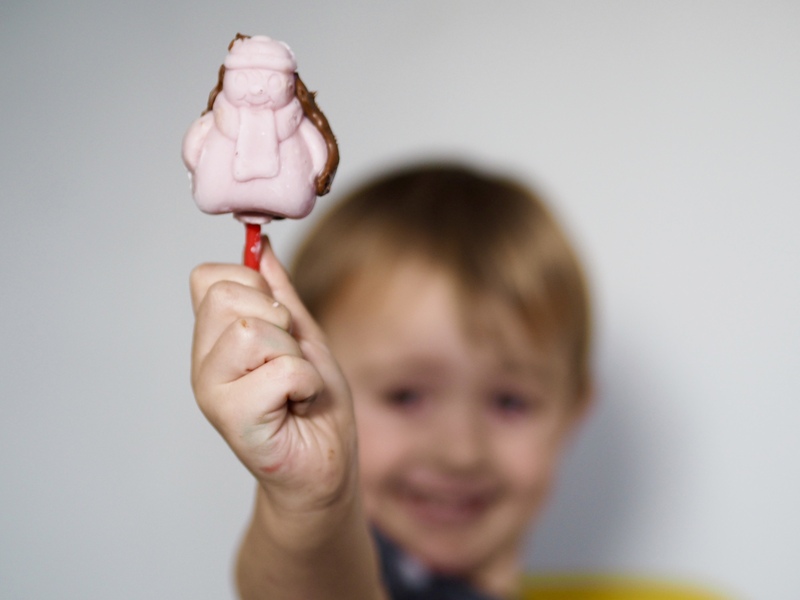 Mr Frosty Choc Ice Maker Review: Is it one for the Christmas list? Throughout the winter, it can be tricky to find a family activity we can all enjoy … especially on dull and wet days. We were sent the Mr Frosty Choc Ice Maker to review* just in time for a grey Saturday with no plans … and we got straight to work! Our two boys were super excited when we showed them the box, and couldn’t wait to get stuck in. 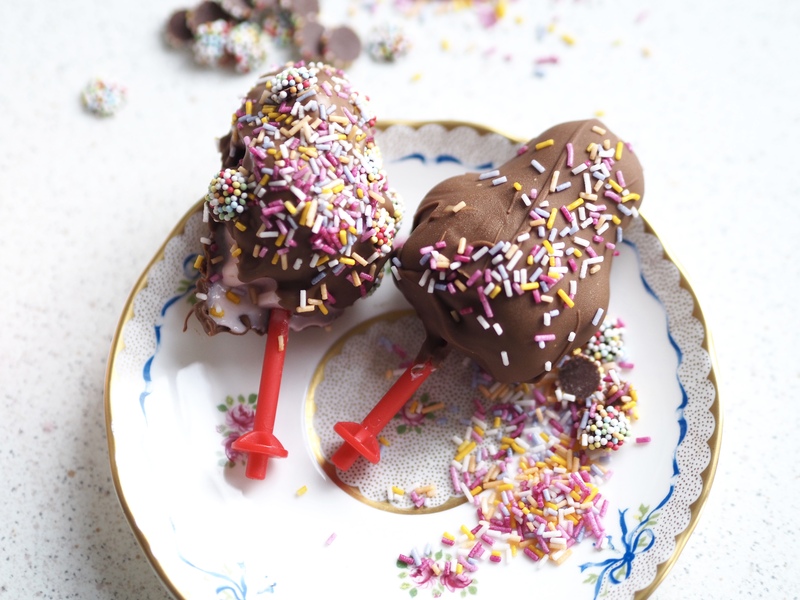 What better way to spend a morning than making and decorating choc ices? The Mr Frosty Choc Ice Maker comes from the same brand that bought the original Mr Frosty ice crunchy maker, and as the name suggests, is designed to create choc ices. There’s a twist, as you freeze yogurt, rather than making ice cream … which is far simpler, and is a healthier alternative. 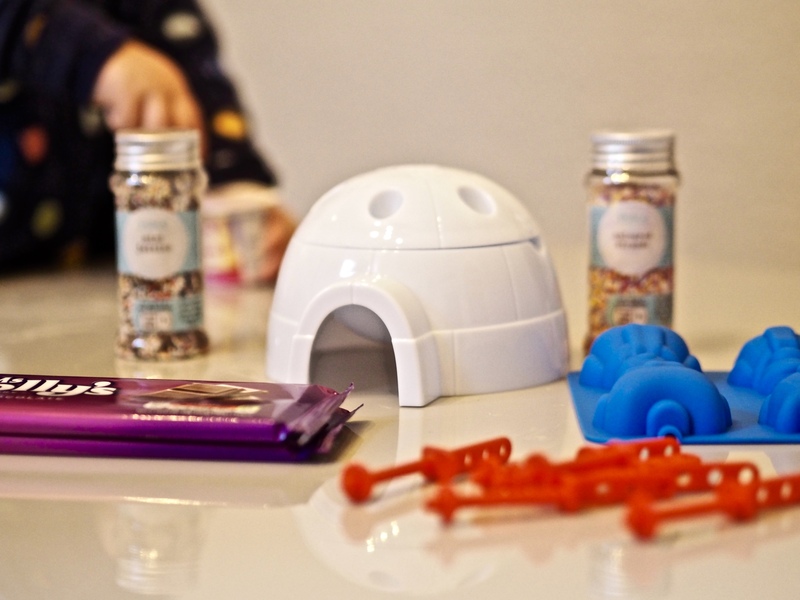 The kit includes choce ice moulds, lollipop sticks, and an igloo which doubles up as a bowl to melt the chocolate and a holder for the choc ices as they set. We were also sent two bars of cooking chocolate and two jars of sprinkles for decorating. 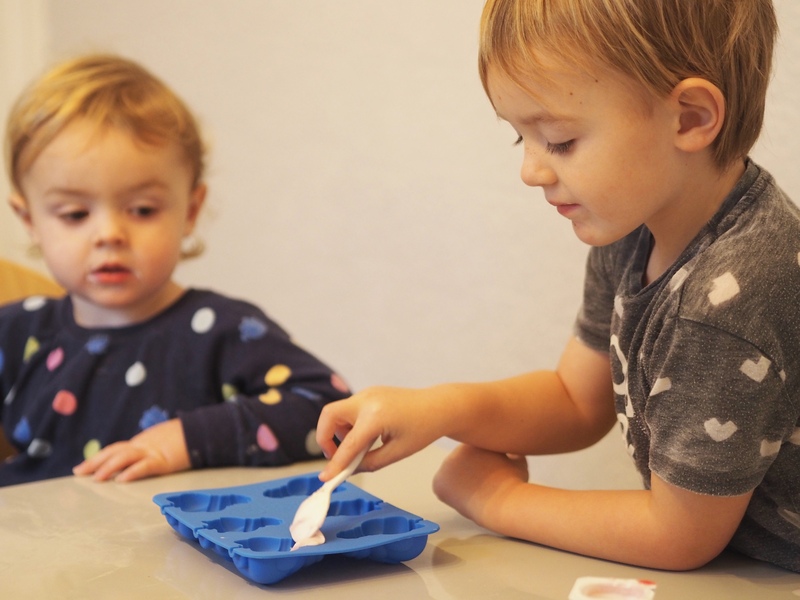 We started by filling the penguin and snowman moulds with strawberry ice cream, which even our youngest boy (aged two-and-a-half) was able to join in with. The set is recommended for children aged five and over, but I don’t like him to be left out. We popped the sticks into the yogurt, made sure they were covered so the choc ices wouldn’t fall apart, and put the tray in the freezer for a few hours. Of course, we had to keep going back to check if they were frozen as the boys wanted to get going with the decorating! It took around three hours for the yogurt to freeze, and when they were ready we moved on to melting the chocolate. 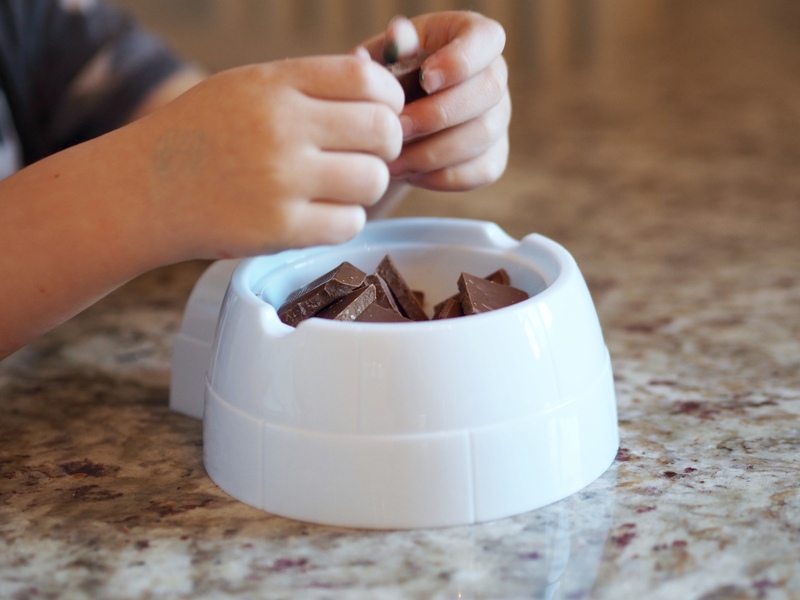 The kit includes an igloo-shaped pot which you break the chocolate into and pop in the microwave for 30 second intervals until it’s melted. Again, snapping the chocolate into little pieces to fill the igloo was something both boys could enjoy … and they even managed to refrain from eating any! I did the microwaving while they poured our decorations – mini jazzies and coloured strands – into little pots ready for sprinkling. I have to admit, this is where it got a little bit tricky (and not because I was trying to stop the sprinkles from being scattered across the kitchen!). We started by melting one bar of chocolate, and we should have gone for it with two as it wasn’t quite deep enough to dip the moulds in fully. We could get most of the snowmen and penguins in, but the yogurt at the bottom wasn’t covered so would start to melt quickly. 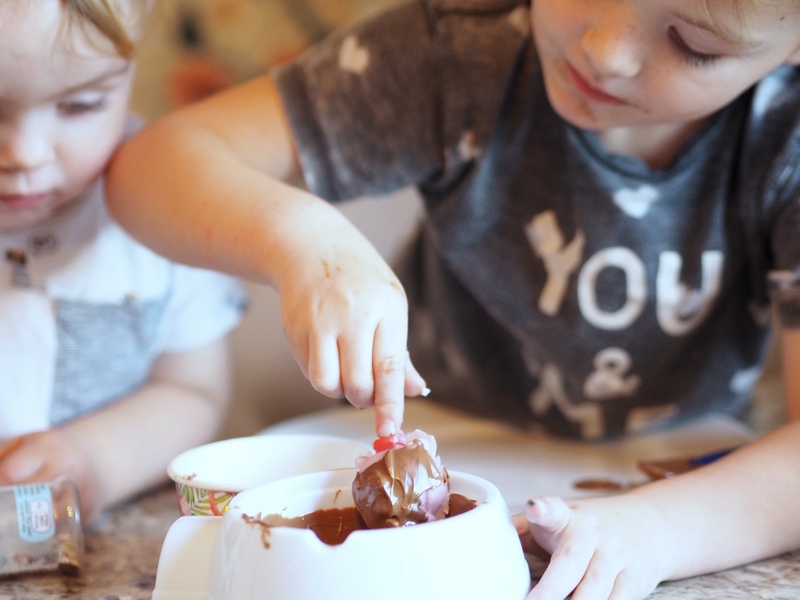 The boys weren’t bothered at all … they plunged them in, and covered any uncoated spots by spooning melted chocolate over the top. It meant the finished choc ices weren’t quite in the shapes they should have been as the chocolate was a bit thick, but they didn’t mind! While one did the dipping, the other quickly sprinkled them liberally. The chocolate sets quite quickly, so you have to move fast! After each one was decorated, we stood it into the top of the igloo to set fully. As you can see, we’re not going to win any awards for presentation, but seeing as these were made by two pairs of little hands, I don’t think we did too badly! Great fun for all ages! As I said, the Mr Frosty Choc Ice Maker is aimed at children aged five and over, but with supervision, younger children are able to join in. Simple to use: There are no complicated instructions and no fiddly parts. Cute design: I love the shapes of the moulds, and after a few attempts I think we’d manage to get thinner layers of chocolate so our choc ices looked more like penguins and snowmen! The igloo would make a good centrepiece for a party. Get creative: There are loads of flavour combinations to try – you could put marshmallows in and crumble biscuits over the top to make rocky road, chop some fresh fruit into the yogurt, or use white chocolate for the snowmen. Or you can just roll them in sprinkles like we did! Once you’ve taken the moulds out of the freezer and decorated them, they can’t be refrozen, so you have to eat them. You could get around this by only making the amount you need, not all six every time. It can get messy! I’m not a fan of craft activities as I don’t like the tidying up (does anyone?! 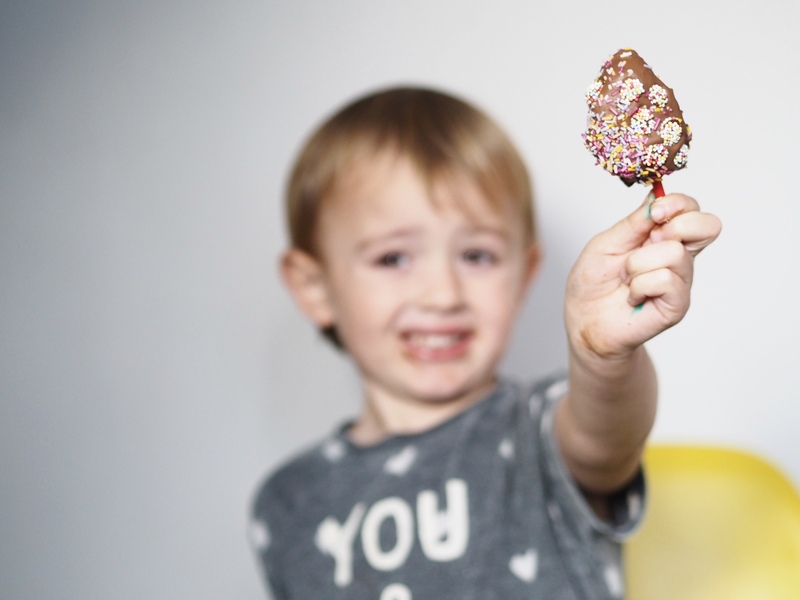 ), and a combination of children, melted chocolate and sprinkles can only end one way. Surprisingly, it didn’t take all that long to clean up – the moulds are silicone, so they’re super quick to wash, and the igloo just took a quick wipe-down. It’s worth it for the enjoyment the boys had! *We were sent the Mr Frosty Choc Ice Maker to review – all thoughts are my own. This post contains affiliate links, which means if you buy anything I earn a couple of pennies!